There’s no reason “About Time” should play as well as it does; it’s formulaic and predictable. But it flows so well, and the cast is so likable, that it’s hard to resist. 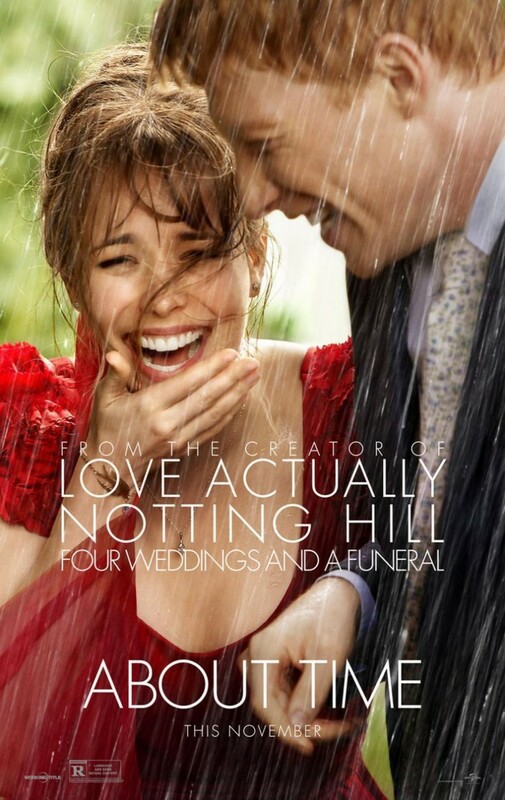 As a writer, director and observer of relationships, Richard Curtis (“Notting Hill, “Love Actually”) just keeps getting better and better. This time, he has chosen time travel as the subject of his latest romantic comedy. On his 21st birthday, Tim (Domhnall Gleeson) finds out that he inherited an unusual power from his dad (Bill Nighy): he can go back in time. This sort of superpower helps him get together (in a hilarious way by the way) with Mary (Rachel McAdams), and from that moment on the film takes us a few years into their relationship. Both actors couldn’t be more delightful.The film is also sparked by a number of lively supporting performances by a talented cast including Bill Nighy who’s simply a pleasure to watch, Lindsay Duncan and a hilarious Tom Hollander. Richard Curtis’ screenplay connects all the dots in a pleasing way, even if it doesn’t always make sense. He also avoids the pitfall of becoming overly sentimental, especially towards the end. In the same vein, the stars don’t overplay their parts, as they could have under less watchful eyes. Yet for all its smarts and laughs, “About Time” works because we care for these characters. It’s not what anyone would call “cutting-edge moviemaking”, but it’s a delightful romantic comedy and you don’t have to be in a relationship to appreciate it.